'55 Hudson hornet grill, a very cool grill as far as grills go. 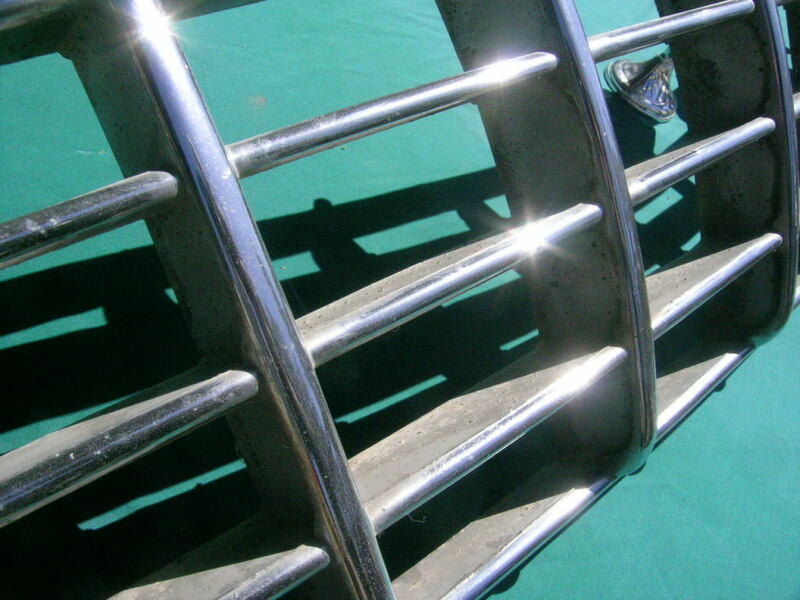 the chrome is in pretty good condition, weathered but still looks decent. couple of very minor scrapes, the recessed areas do have light pitting and that area could be painted. no cracks at all. would fab nicely into 1946-49 General Motors passenger car such as Pontiac, Oldsmobile and Fleetline. 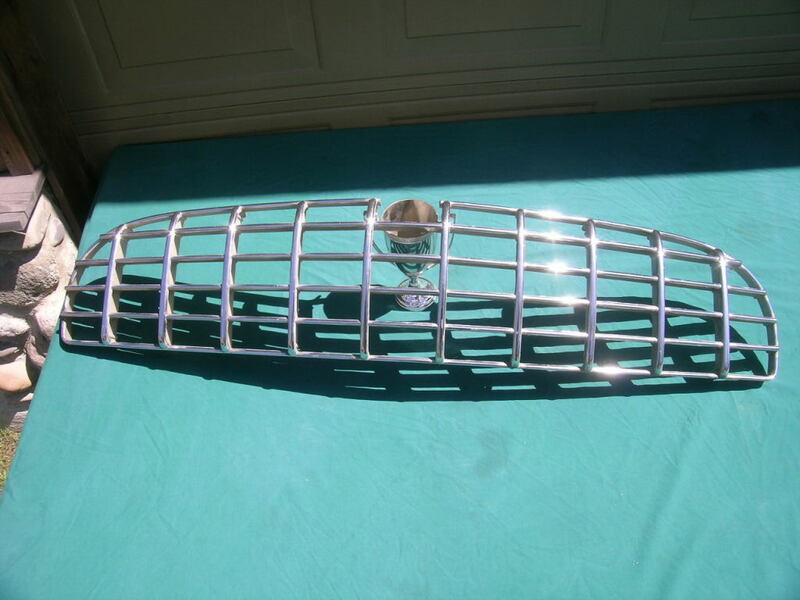 or an Original grill for your '55 Hudson project or driver. We work very hard to make sure you get the right part, but in the end it is your decision. get the right parts for your application. If you have any questions, comments or need more Pictures to help in your decision Please let us know. We will be happy to help. All our Items are Sold As Is. All Sales Are Final. We do not Accept Returns at all. 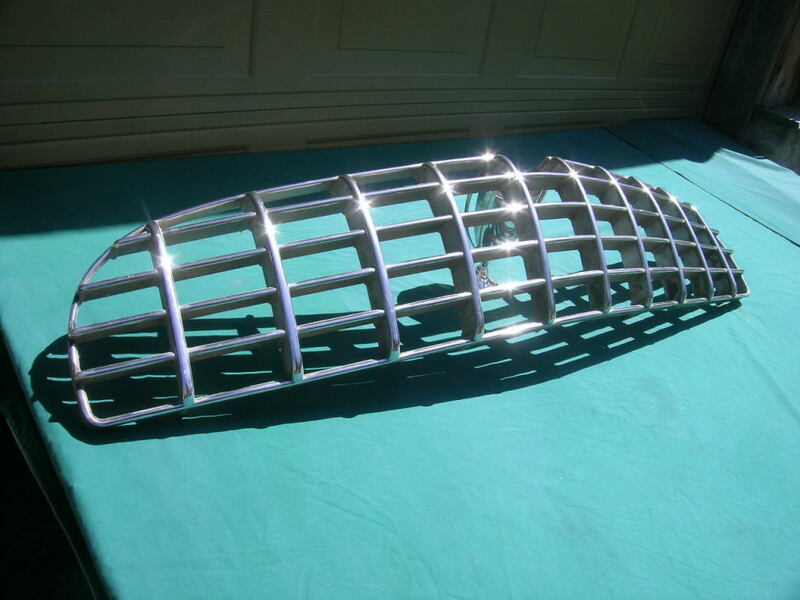 Some of our used parts may need: Cleaning, Polishing, minor or major repairs. You will not make charge back claim against Vintagev8.com or it's affiliates. Recycling and Reuse is a high priority at Vintage V8. Most all of our packaging materials are second use materials. Please try to do the right thing by reuse or recycling the materials from your shipment. thank you. Money Order We will accept US Postal Service Money Orders. All others Will be Returned. No personal Checks Please, They will Be returned to you. you can always use a credit card or debit card with Paypal, Google Wallet or Amazon Payments on our Site... Please remember We do not accept Returns at all. We will do everything we can to make sure you get The right parts. Please just ask us for any information we can provide you with. If you read through our site you will find More Information on our policies and terms. thank you for your understanding the payment requirements of our small business. Paypal We accept several forms of payment including Paypal, Google Wallet, Amazon Payments and other Credit and Debit Cards.